When I say that yellow is "in" for Spring/Summer 2013, know that I'm not talking about soft, subtle, pastel or candle light yellow. I'm talking BOLD. Like... "Big Bird" bold. ...and their everyday fashion counter-parts, courtesy of the usual Target and Old Navy. So, task in hand, Merri Poppins and I set out for the most blinding yellow fabric we could find and went to town! I must confess, I thought I would hate a color this bold, but these pants have made me a total convert. 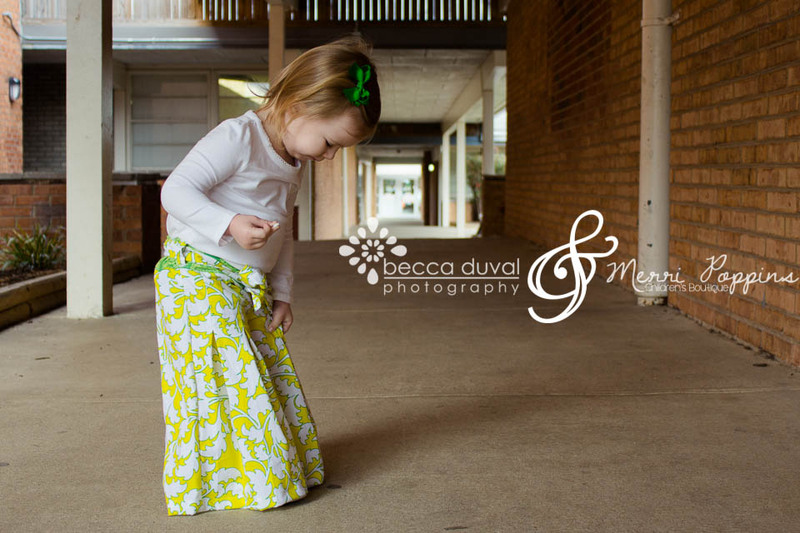 Tell me miss Avery doesn't look just DARLING in these slacks Merri Poppins made! These are Violette Field Thread's "Whitney" pants, which MP whipped up here with a contrasting band for some extra "pop" in our yellow masterpiece! Avery had some serious dance moves, and loved showing them off in her new outfit! So there you have it! Another Spring/Summer 2013 trend that is sure to make a statement! This makes a great color for my seniors to wear for their photos, or a stunning choice for a dress in a warm-weather engagement session - but FAMILIES BEWARE! Unless you want to look like a flock of canaries, try introducing a color this bold in small doses: hairpieces, jewelry, shoes. SOME yellow attire is fine, just make sure there are plenty of neutral pieces (white, gray, denim, etc) in the mix.